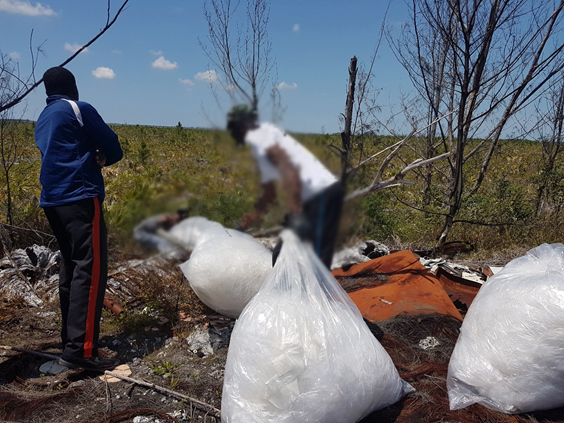 Caught Red Handed – Illegal dumpers are ordered by members of the Royal Bahamas Police Force to remove all debris dumped in the deserted area. 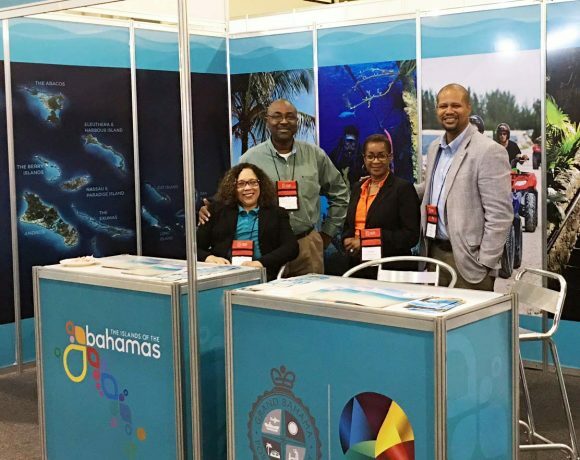 The proprietor of the business was found guilty and ordered to pay the fine or be remanded to the Bahamas Department of Corrections for a term of 10 months. The Keep Grand Bahama Clean (KGBC) Committee celebrates a great victory as an indiscriminate dumper was hauled before the courts. 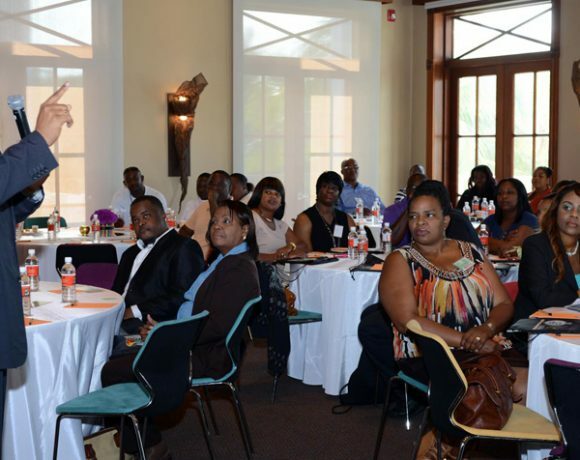 As a part of its mandate the KGBC Committee advocates for a cleaner and healthier environment, and with the assistance of the Building and Development Services (B&DS) Department of The Grand Bahama Port Authority, Limited, (GBPA), the Royal Bahamas Police Force (RBPF), the Department of Environmental Health Services (DEHS), and Concerned Residents, the committee is one step closer. On April 10, 2018, during a routine inspection, members of the KGBC Committee and the B&DS Department came face to face with a repeat offender. Authorities were called in to investigate the actions of a pair of indiscriminate dumpers associated with a local business, offloading an oversized load of garbage material from a marked company truck. “It’s always disheartening when persons don’t see the impact they have on our island when they engage in illegal dumping” expressed Olethea Gardiner, Co-Chairperson of the KGBC Committee and Environmental Inspector of GBPA; “Sanitation Services continues to make it easy and affordable for businesses to utilize proper means of disposal of their debris”. On August 30, 2018, the proprietor of a local company who was caught in April, was hauled before the courts where he pled guilty to the charge of indiscriminate dumping, an offense which carries a fine of $1,000.00 and/or imprisonment. The proprietor was ordered by the Magistrate to pay the fine of $1,000.00 by end of business day or face 10 months’ imprisonment. 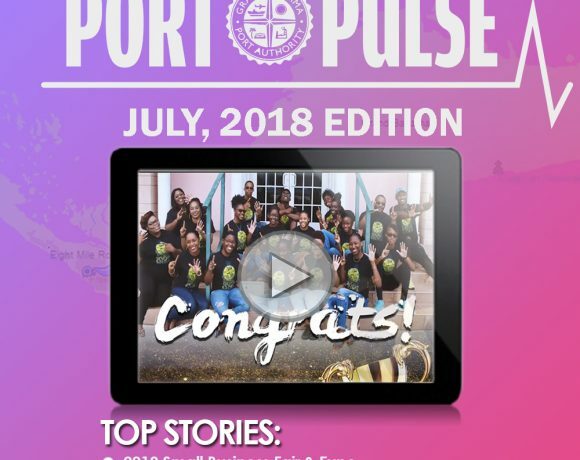 Gardiner stated, “This victory could not have happened without the diligence of the Royal Bahamas Police Force, the Department of Environmental Health Services, and the Judiciary who treated this matter as the serious offence that it is. There are statute laws for illegally dumping and it was great to see them being used”.